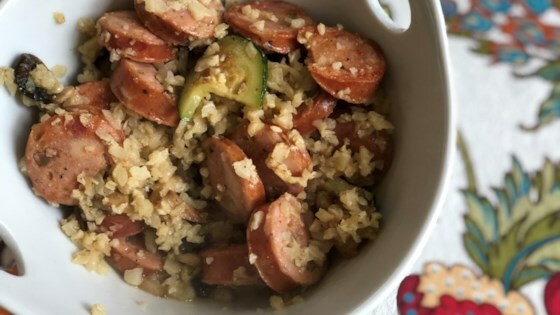 "Chicken sausage, cauliflower, zucchini, and Parmesan cheese combine in this creamy and delicious low-carb risotto, perfect for any meal." This creamy Italian rice dish makes an elegant main course. A definate remake! We all loved it. Next time I'd shred the zucchini instead of slice and don't add salt. terrible, nothing like the picture. Very bland flavor, and I added red pepper flakes for a little heat. 1st recipe from allrecipes that I didn't like. What a great meal, very filling and tasty, will definitely make this one again! This was very easy to make and wouldn't change a thing!